T4958-C Looking for a staple T-shirt that will also wick away moisture? 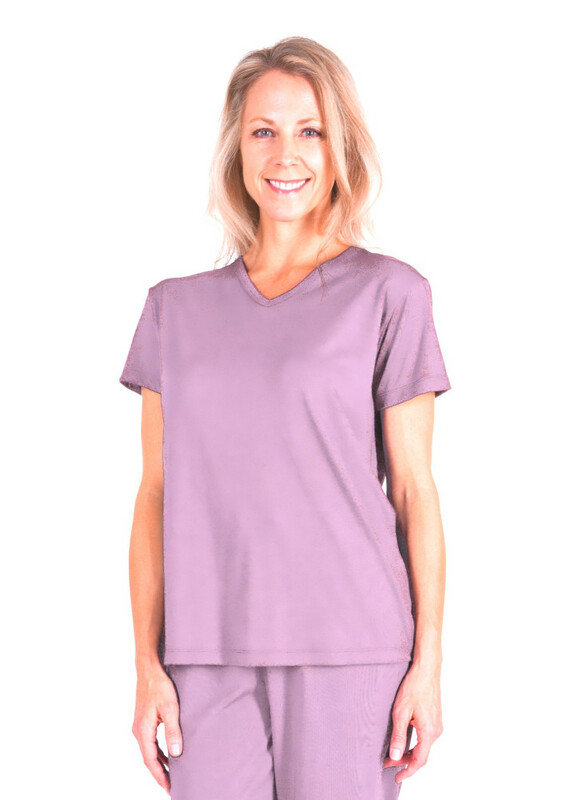 Our Mix & Match Ladies Menopause Sleepwear Shirt from Cool-jams™ is just the thing. 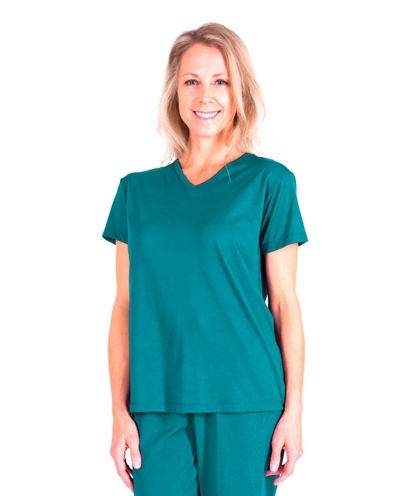 These women's pajamas for night sweats feature features a classic T-shirt shape with short sleeves, a loose bodice and a V-neck, but it's also made of our innovative Cool-jams™ fabric that wicks away moisture from the surface of the skin. 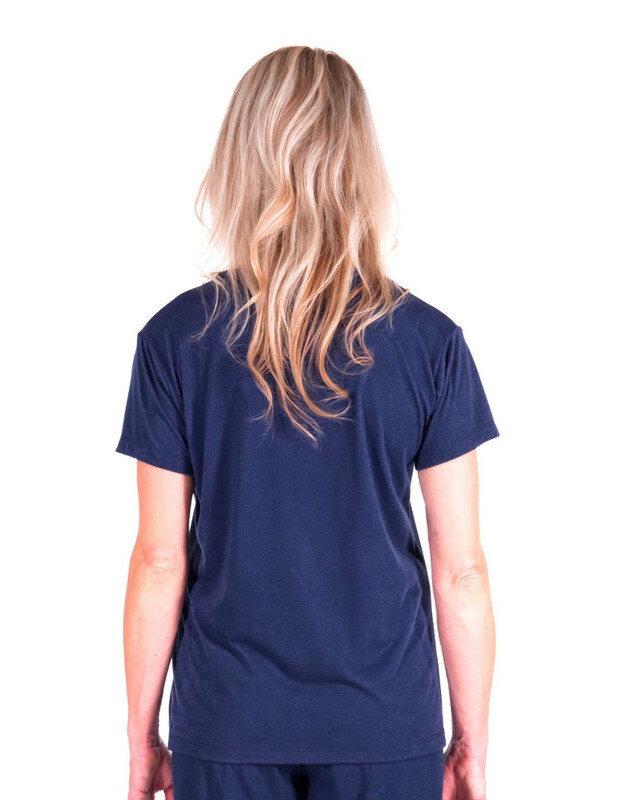 Whether you suffer from night sweats due to menopause, health issues or a difference in temperature between you and your partner, this menopause sleepwear shirt is the answer to your problems. 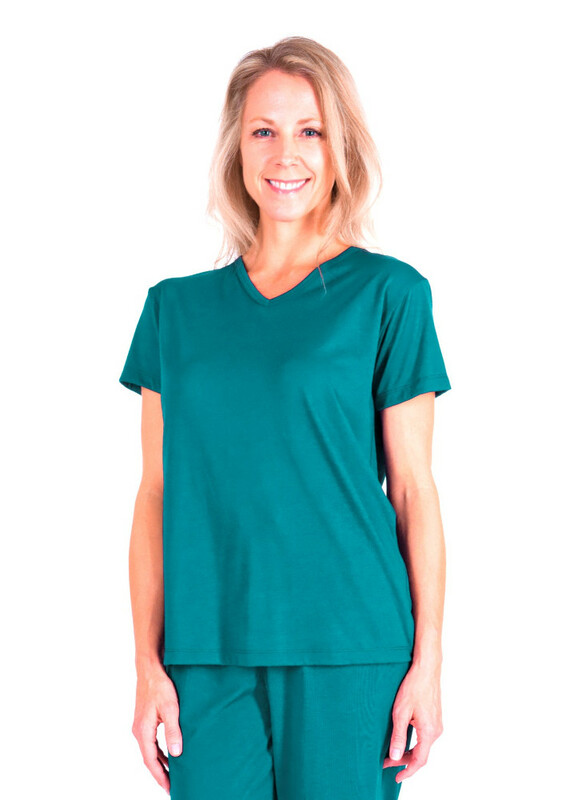 Choose from a variety of stylish colors to match your new Mix & Match Women's Pajamas For Night Sweats with the rest of our Cool-jams™ wicking pajamas. These pieces are not only soft, silky and lightweight, they're also wrinkle-resistant so that you can easily fold them up while traveling. Note: The colors Violet and Turq-Sea are being closed out, so stock is limited in these colors. 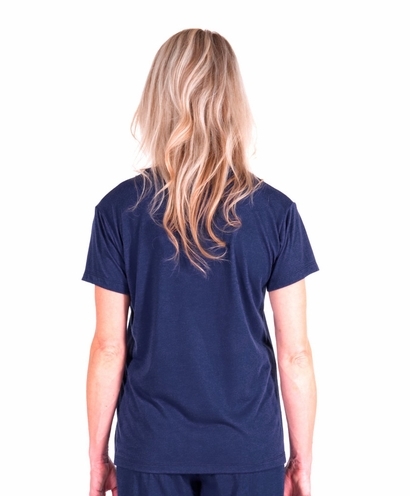 Wash your women's pajamas for night sweats in cool or warm water on gentle cycle. Never use fabric softener or fabric softener sheets because it will minimize the wicking properties of the fabric. If you accidentally use fabric softeners, re-wash the menopause sleepwear shirt in clear water to remove softener residue, so the wicking properties will return to maximum effectiveness. Lay your garment flat or hang to dry. Tumble drying won't damage the this women's pajamas for night sweats, but can sometimes create static. I have not worn this top yet, but am sure I will like it. I have a gown and tank top pajama set and really like them.